Many reports are claiming the death of Sears, but is it really dead or just dead as we knew it? Sears started life in 1892 as a mail-order catalog that sold watches and jewelry. In 1894 the Sears, Roebuck and Company catalog had grown to 322 pages and included sewing machines, bicycles, sporting goods, automobiles and other new items. In the following years the catalog would eclipse 500 pages and adding dolls, stoves and groceries. The Sears catalog revolutionized the way people bought and sold goods at the end of the 19th century. Before the Sears catalog, farmers often purchased supplies from narrow selections at local general stores. Prices for goods were negotiated, and relied on the storekeeper's estimate of a customer's creditworthiness. The Sears catalogs offered customers a wider selection of products at clearly stated prices that were often much lower than general stores. In the decades that followed, Sears became the largest retailer in the world. 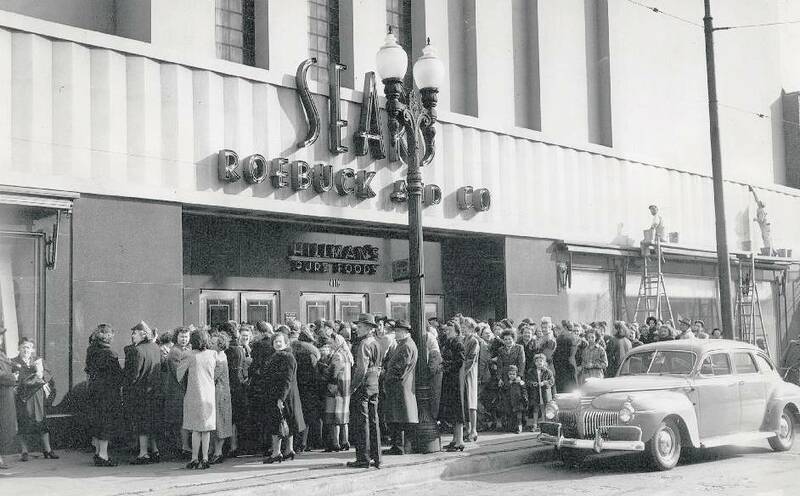 Sears opened retail stores in the 1920s and by 1931, those stores were outselling the catalog. The company began to introduce its own brands, including Craftsman, DieHard and Kenmore; and it began selling insurance through its Allstate subsidiary. Sears went on to expand its business into real estate (Coldwell Banker), finance (the Discover credit card), tech companies (Prodigy with IBM), and more throughout the 1980s. In the 1990s, Sears scaled back its businesses to focus once again on retail. The 90s proved to be very competitive and Walmart became the largest retailer in the United States. Despite claims that Sears was old fashioned and refused to grow with the times, Sears made a play for internet supremacy in the summer of 2000 when it announced that sears.com sold home electronics, computers, office equipment, appliances, cookware, baby products, school uniforms, gifts, toys and sports memorabilia. At the time, Amazon had only just begun branching out from selling books. In 2004 Kmart purchased Sears for $11 billion. In subsequent years, profits would tumble, stores would close, and employee wages and hours would be slashed. Sears had its last profitable year in 2010. By that time Amazon’s profits were soaring. On Monday, October 15th, Sears Holdings Corp. (SHLD) filed for Chapter 11 bankruptcy. Sears is on the hook to more than 100,000 creditors. In legal filings, the company stated it has close to $7 billion in assets but has $11.3 billion is liabilities. Vendors, lenders, and even customers will have to get in line and fight to collect pennies on the dollar to recoup some of their investment. Secured creditors who loaned money to Sears in return for real estate or inventory will be repaid first. Second in line will be the priority creditors – anyone who recently sold Sears goods, taxes that the company owes, and back wages and benefits to employees. Lastly, and likely to receive very little if anything at all, are the stockholders, who at this point have lost most of their investment anyway. Time will tell what becomes of the company, but Sears as we know it -- the largest retailer in the world -- is no more.